Sir George Gilbert Scott’s Grand Midland Hotel is one of the most famous buildings of the 19th century. 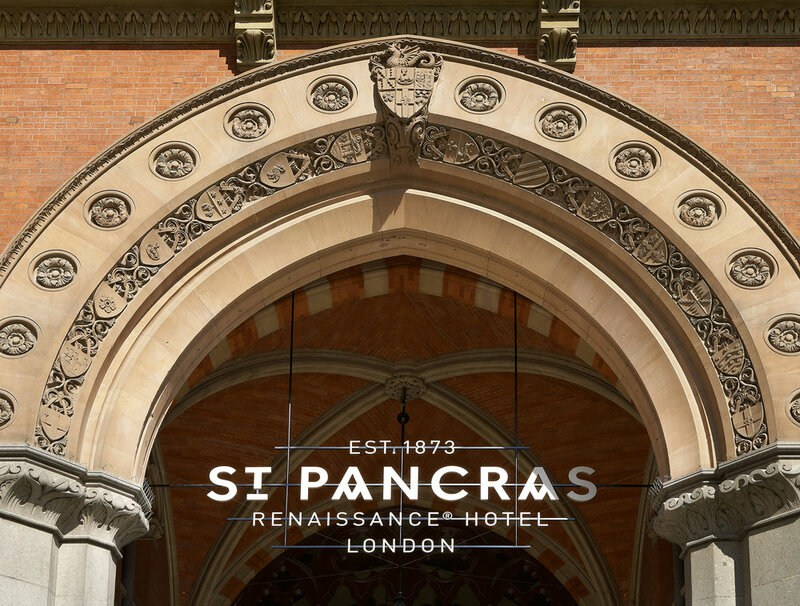 Opened in 1873, it closed in 1933, and defeated all attempts at conversion for new uses until the arrival of Eurostar once more made hotel use possible. We were appointed as joint architects with RHWL to return the building to use as an international Grand Hotel, with a new wing of 170 hotel bedrooms on Midland Road, and residential apartments on the upper floors. RGA designed the major public areas of the hotel – including the main concourse and the lift lobby – and the new wing, in a simplified version of Scott’s Gothic that masks a heroic engineering structure spanning the 30m loading bay of the railway. 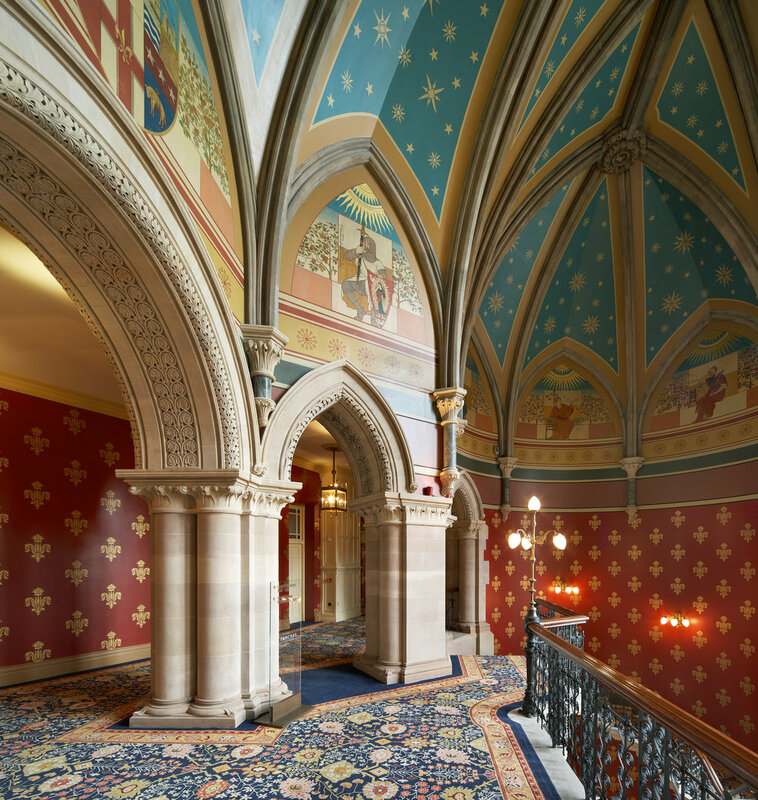 The residential entrance reuses the original hotel entrance, and much of Scott’s architecture in the flanking platform level rooms has been rediscovered and restored to its original decorative grandeur.